Newlyweds George and Lorna Homes decorate their first apartment at 1028 Erin Street. 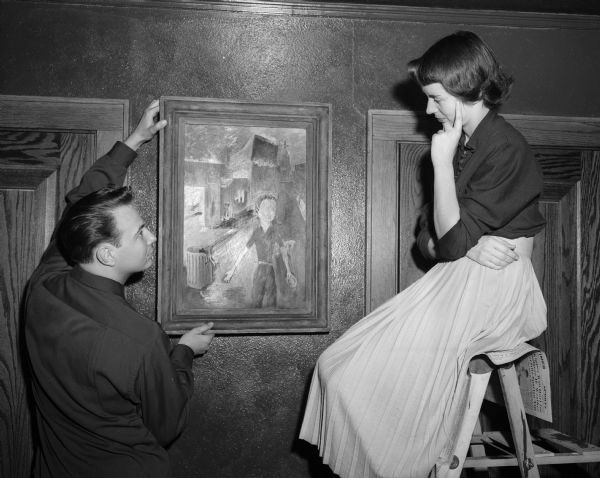 George places his oil painting "Russian Spring" on the wall as Lorna looks on. One of four images. Published in Wisconsin State Journal April 30, 1950.